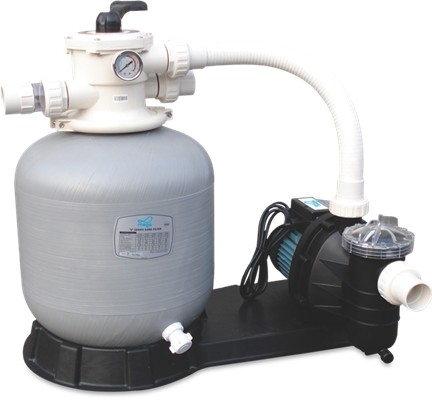 The Mega filter pump sets are the premium range of pool water pump – filter assemblies; this is the smallest model the FSF350-6W. The filter assembly is PE lined fibreglass reinforced polyester tank with unequalled strength and durability. Equipped with top mount 6-way valve and centrifugal pump with pre-filter for easy operation and maintenance.